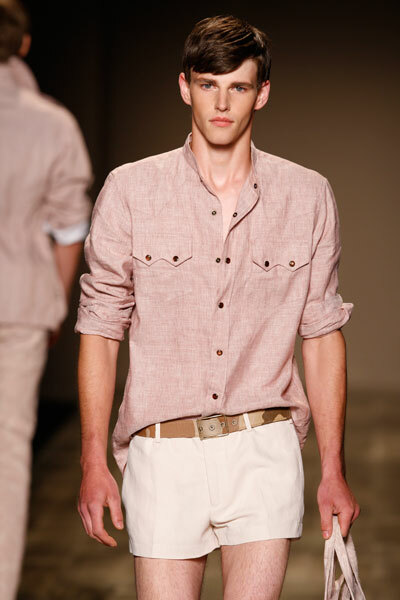 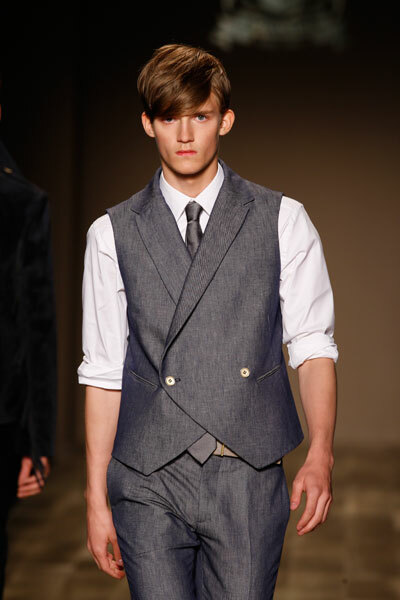 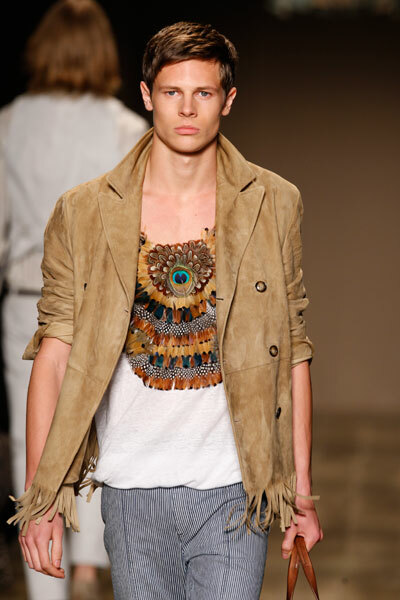 Milan Vukmirovic is the one who has to revive the Trussardi 1911 menswear-label. 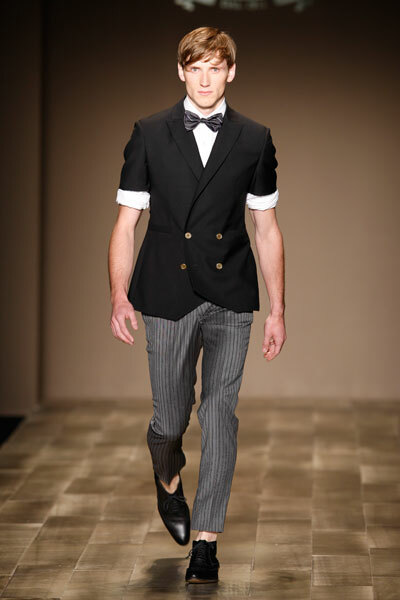 And he succeeded indeed, although he took the easiest way by giving formalwear a cool twist and play with proportions and color. 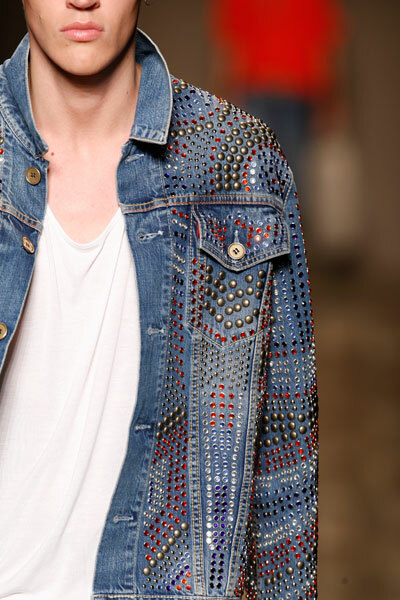 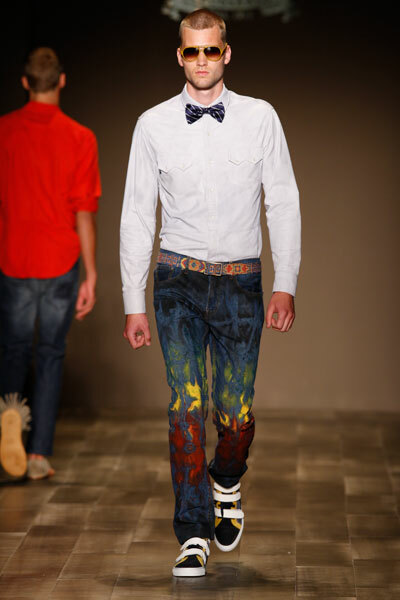 By the way: denim is defenitively back in vogue, the Trussardi-jeans is studded and colored with flames.